Lovely pattern; love the color and composition, too. 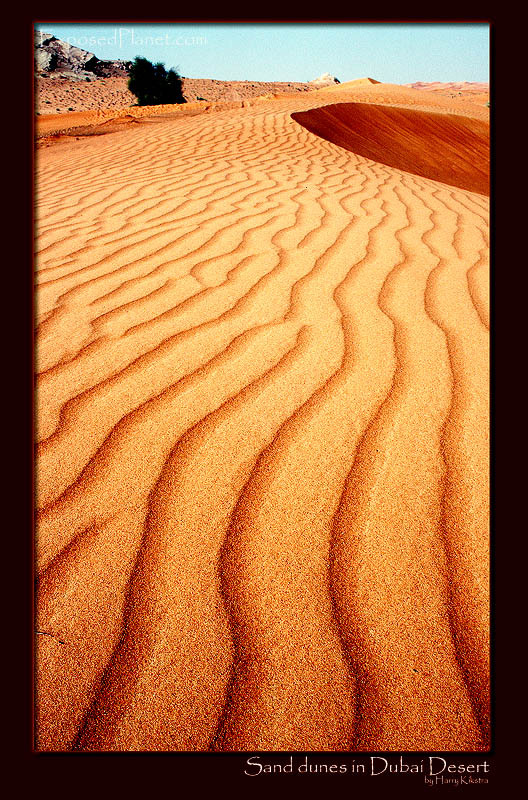 Who made that \'line of sand\' ;-). Beautiful colors and all those patterns. It could be a nice photoshop practicing picture. Beautiful waves and colours.So different from the sand in my country. The story behind "Sand dunes near Dubai, UAE"
The fake plastic world of this small Emirate is just a thin line along the coast. Just a short drive away from the busy city of Dubai, a complete wilderness can be found.